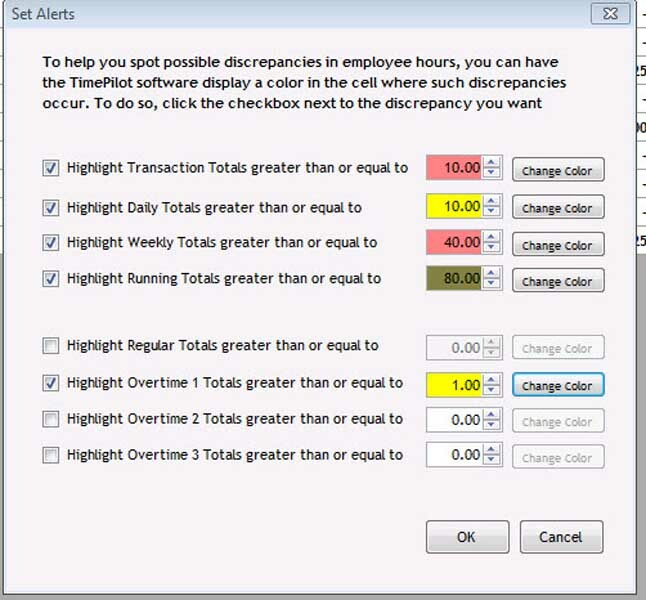 TimePilot Extreme Blue Enhanced remote contractor time clock system. For larger organizations, and those with multiple worksites. We are TimePilot's oldest and largest reseller. Leave it on-site, bolt it to the tool shed/trailer, in a van or truck, etc. secure mounting plate and unique padlock. Punch Alerts Overtime California OT More Reports! 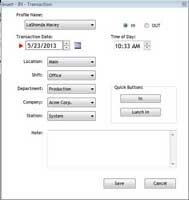 TimePilot has worked with a number of payroll companies and Professional Employment Organizations (PEOs) to make it easy for their customers to use the TimePilot system. 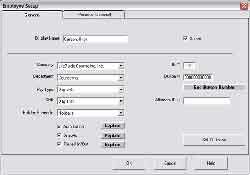 We've also prepared interfaces for all the leading payroll software packages. 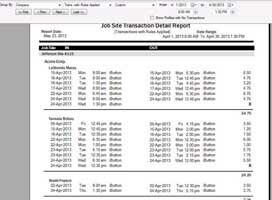 It's the part of the TimePilot software that takes the payroll data that TimePilot collects and translates it into a format your payroll company or payroll software can understand. Don't see your format here? Call us! 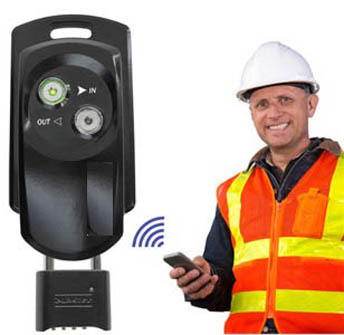 Our newest systems are rugged, weatherproof, battery-powered and designed to be used at worksites and other outdoor areas. Rugged and weatherproof; runs for a year on 4 AA batteries. Handles up to 2,000 users. Padlock and steel mounting plate keep it secure. Each employee uses a single iButton to clock in and out. This feature can be used to calculate the amount of time an individual project takes during the workday, or how long an employee takes to complete a particular project. All you need to start "job costing" is iButtons in different colors. They're available from us in 11 different colors, in quantities of 10 each. 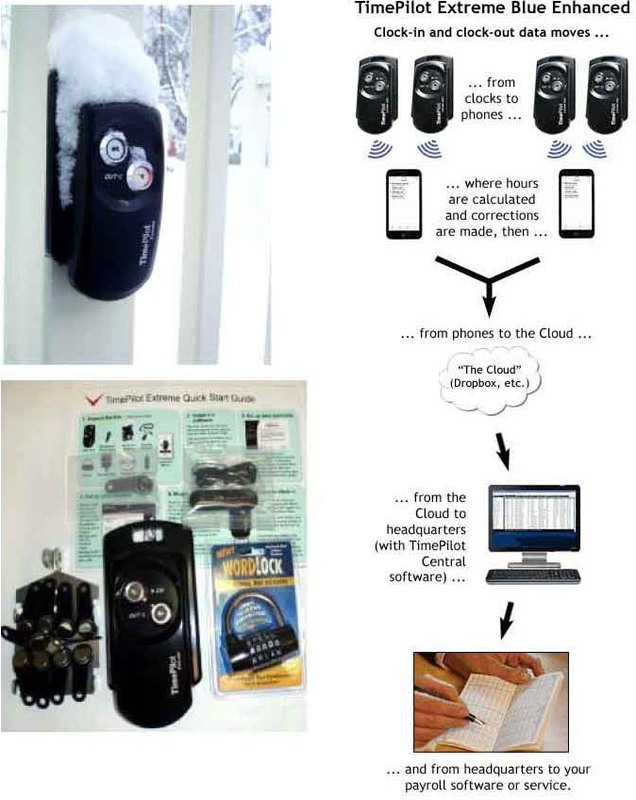 Example: You are a remodeling company, and you are using TimePilot Extreme. In a single shift, your employees might be doing framing, then putting uppdrywall, then painting - and one employee might be doing some plumbing, too. TimePilot's job costing feature allows you to see how each employee spend his or her day and also to determine how much time all employees spent framing, drywalling, painting and plumbing. To do this, each employee will carry a black iButton and several colored ones. The black iButton will be used to clock in and out at the start and end of the day for payroll purposes; the colored iButtons ared used to record the start time and end time of particular jobs or tasks. For instance, when an employee starts framing, he or she would tap their yellow iButton to the "in" probe. When finished, they would tap the yellow iButton to the "out" probe, then tap their red iButton to the "In" probe to indicate they are starting drywalling.